The term yoga comes from a Sanskrit word which means yoke or union. It is a form of exercise aiming to align your physical, mental, and spiritual self, and beyond–aiming to align you with nature, other people, God, your true self and all the world around you. (Amazing that this practice can do all that, right?!) There are hundreds of yoga poses (asanas) and breathing exercises (pranayama) that are thousands of years old that are practiced today. So a hot yoga class takes some of those poses and turns up the heat–literally! There are different types of hot yoga classes. Bikram Yoga is done in a room heated to 105˚ and it is the same class every time, consisting of 26 postures and two breathing exercises. Other hot yoga classes will vary each time and may not be as strict. Some may be completely different, like Vinyasa Flow. This is what my certification was. It is a series of continuous movements/asana linked together and synchronized with the breath. I like to say that practicing hot yoga is practicing traditional yoga, as these postures were originally practiced in India long before there was air conditioning! The hot yoga room is heated to very quickly warm your body and muscles, making them pliable, ready for deep stretching and keeping them safe from injury. The Hatha Yoga poses and breathing exercises themselves are deeply beneficial. They are already designed to work every system of the body–cardiovascular, nervous, lymphatic, endocrine, immune, digestive, reproductive and skeletal. They work to flush away all waste products and toxins of all the glands and organs of these systems through the circulatory and respiratory system. Then, the intense sweat you build in a hot yoga class continues that detoxification by flushing them out through the skin. As if this weren’t enough, you will gain strength, flexibility, endurance, concentration, and focus from practice. Your heart and lung capacity will improve, your body will be reshaped through weight loss and muscle tone, your stress level will be lowered and you’ll sleep better, and last but not leas,t your complexion will improve because of all the detoxing from sweating. At my studio, we say it’s like getting a facial in every class! Other free (and kinda weird sounding) benefits you’ll receive in class…a natural salt water nasal rinse and a lack of B.O. if you come regularly! I swear, once you sweat out the initial toxins, if you have a healthy diet, you will no longer have body odor! My personal favorite things I love about hot yoga, everyone’s faces are red, so if you are a blusher (like me), it’s comforting because no one can tell you’re blushing. Same things with sweat and tears–no one can tell you’re crying when you’re working out all your life issues because of the extreme sweat! And most of all, everyone is in it together. There is a camaraderie in a hot yoga class, it’s comforting to know that we will all come out looking the same in the end–like we stepped out of a pool–and it doesn’t matter how we looked coming in, and we made it though so much challenge in the middle. So if you’ve never been before, now’s the time. Be brave, leave your ego outside the studio, don some fitted shorts or capris and shirt, and step into a hot yoga class today. PS. Don’t forget your water. 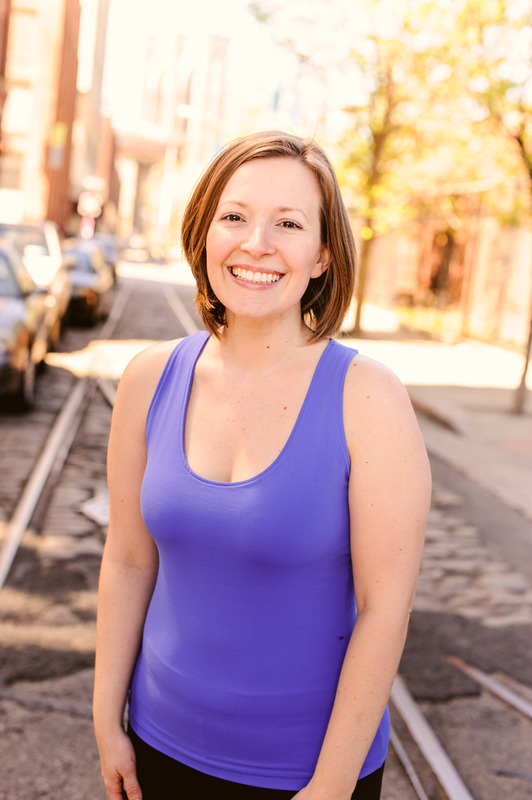 Holland LeDelia is yoga and Pilates instructor in Jonesboro, Ar and NYC. Find her on Facebook, follow her on Twitter @hollandledeliat, & visit her new website hollandledelia.com (launching in June). When in Arkansas, she teaches at Nirvana Hot Yoga Studio in Jonesboro and Paragould. Check out their info & schedule at www.nirvana–studio.com. I just started Bikram yoga this week and even though I’ve only been to two classes I love it already! I look forward to reading your blog and found this post very informative. So happy! Enjoy your hot yoga journey! ← Now’s the Time to Reap the Benefits of Outdoor Yoga!